After weeks of stressful wedding planning and organisation a spa weekend could be just what the wedding planner/bride-to-be ordered. So why not indulge her with a weekend of total relaxation and a hen party spa weekend? We are “spa-tic-us”! Being based in the UK’s foremost spa city, Bath, it’s one of the many areas of hen party planning we specialise in. We won’t just book your treatments and send you off with instructions to take a towel and hope for the best. At GoHen we are dedicated to excellence. We know how important this weekend is to the guest of honour so that means it’s important to us and you can contact us at anytime during the lead up and throughout your weekend. Our commitment to service means we take the time to personally visit every one of our destinations so we can be sure everything is in order. That means you can relax and make your booking knowing everything will be as smooth as cocoa butter in a sauna (but please don’t take cocoa butter into the saunas). Bath - Those Romans knew a thing or two about baths and spas. Bath was created during Rome’s heyday thanks to its naturally warm, mineral-rich waters. It has gone on to become a World Heritage City with incredible architecture and a trendy relaxed Vibe. But the Roman bath and uber cool rooftop spa with views across the city are still a major party of Bath’s identity. Budapest - Probably the most famous spas in Europe and certainly several of the continent’s greatest venues, Budapest's spa facilities are fed by soothing, mineral rich thermal waters with 70 million litres rising through the rocks daily. The Hungarians do spas very well and a spa hen party in Budapest (known as ‘The City of Healing Waters’) is an excellent mix of outdoor and indoor, hot and cold, and of course calm. The perfect place to relax after the night before. Harrogate - Another historic spa city that we can thank the Romans for. 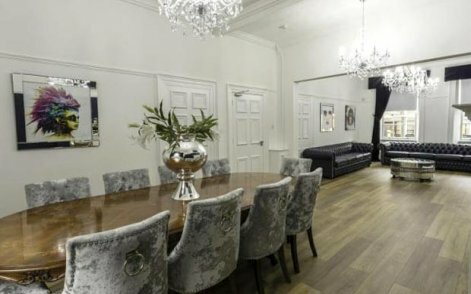 Superb facilities are matched by fantastic staff and treatments for a weekend sure to help any bride-to-be relax and set you all up with plenty of treatments ahead of the big day. You’ll also find great facilities and wonderful healthy food, allowing you a complete detox ahead of the evening’s retox and buzzing nightlife. Cardiff - Everyone knows Cardiff is a huge party potential but its incredible spa facilities are a lesser known quantity. 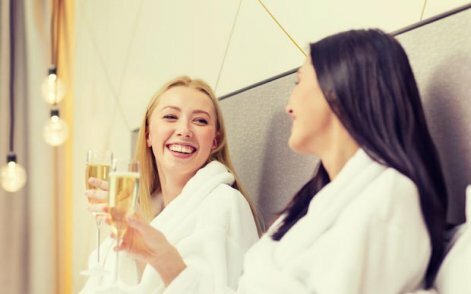 You can make the most of your nights out and enjoy calming hen party spa treatments and facilities during the day. The perfect combination. Brighton - The UK’s original seaside resort, it’s fresh sea air and salt water was viewed as a cure-all for decades. Latterly ‘slebs’ such as Katie Price, Heather Mills, Zoe Ball, Peter Andre and Dame Vera Lynne (?) have all flocked to be beside the seaside and take advantage of some of Brighton’s trendy and often cutting edge spa facilities. Barcelona - Without any doubt Barcelona offers some of Europe’s best spa facilities. This bustling metropolis serves up sun, sand sea and an incredible nightlife as the perfect compliment to total relaxation and the latest innovations in spa therapies. 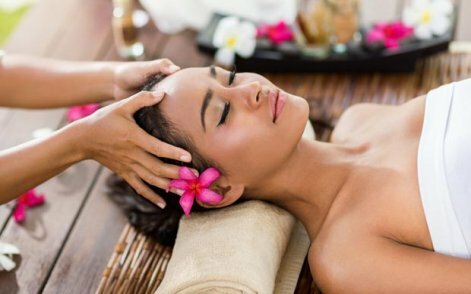 Massages - Whether you opt for a back/neck massage, a head massage or a foot massage, relaxing with a massage on your spa hen weekend is an excellent way to release the stresses of wedding planning! 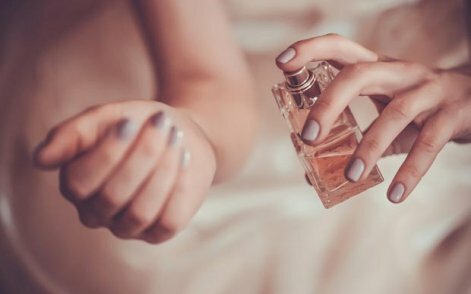 Manicure/pedicure - Having your nails filed and primed will make you feel even more gorgeous for the big night, as well as keeping them healthy and looking fantastic. Plus the good work will last long after the hen weekend, bonus! 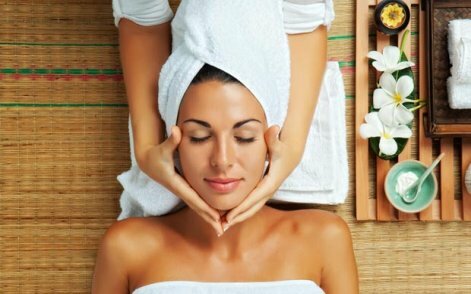 Facial - It’s important to keep your skin healthy and vibrant, and the benefits of getting a facial are twofold. Firstly you’ll be left with gorgeous glowing skin, and secondly you’ll receive great skincare advice from a pro. It’s a skin-win! Sauna - Enjoy natural therapeutic benefits as well as the social aspects of using a sauna; the natural herbs are released, gently radiating your body in a warming way. Perfect before a body treatment. 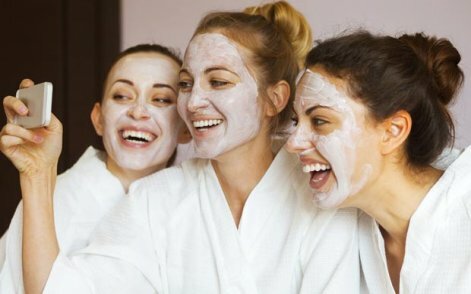 Spa hen parties are a great way to spend time with the girls but getting the most from them means good planning and having the right level of expectation. Remember spas usually only have a small number of treatment rooms so it’s often not possible to get group treatments done simultaneously, in which case just allow enough time for that within the itinerary. Given possible availability challenges on your preferred treatment, book as far in advance as you can. Don’t be late. Weekends are notoriously the busiest times for treatments so if you’re late you’ll miss your slot (or slots) and once it’s gone it’s gone! Double check parking arrangements and any travel (might be a good idea to arrange taxis or transfers, or even a limo!) - you don’t want any stress when you’re in the spa. Think refreshments, as the organiser you should check what’s available on site and/or what you should do beforehand or afterwards to keep the girls fed & watered. Club together and book something special for the bride-to-be!